If house prices in one metropolitan statistical area (MSA) are increasing much faster than in another MSA, should one infer that overall inflation is also much faster in the former? No. Consider the nation's two largest MSAs: New York, New York, and Los Angeles, California. 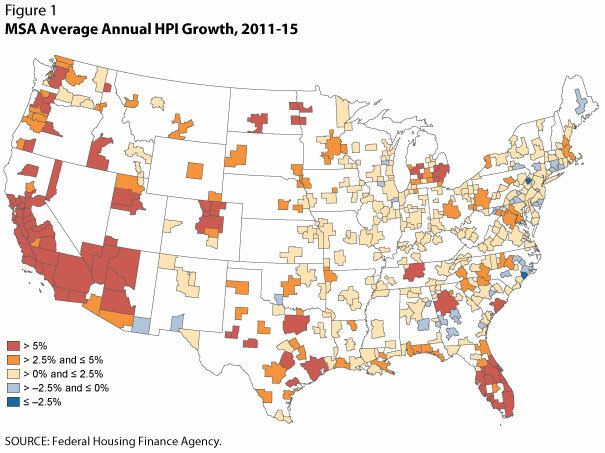 In New York, house prices have grown only about 2 percent annually since 2011, according to the Federal Housing Finance Agency house price index (HPI). Meanwhile, house prices have skyrocketed in Los Angeles, growing over 8 percent annually during the same period. 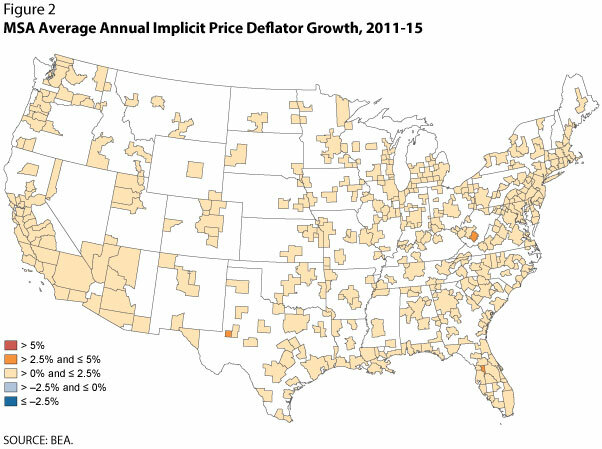 If house prices were a proxy for regional inflation, this would imply higher inflation in Los Angeles than in New York. In reality, despite the major differences in house price growth, overall inflation trends have been very similar in these two areas. According to the regional consumer price indexes (CPIs), prices in both areas have increased a little over 1 percent per year during this period. In this essay, we examine incongruities between regional house price growth and regional inflation and why house price growth doesn't accurately reflect overall changes in the cost of living. There are a few reasons why regional house price growth does not measure regional inflation and thus does not accurately reflect changes in the cost of living. First, house prices capture both the price of housing services (i.e., shelter) and the value of housing as an asset (which is primarily the price of the land). The latter drives most of the change in house prices. As the value of housing increases (decreases), the return on investment for homeowners increases (decreases), driving up (down) the price that consumers will pay for housing. Changes in house prices are useful for studying broad housing market trends, as well as household wealth, but do not necessarily reflect changes in the actual cost of housing services for homeowners.